We Buy Used Cars For Cash In Honolulu - What Vehicles? Those interested in selling their cars for cash in Oahu often wonder what types of vehicles we buy. Do a search on the web for “sell my junk car for cash” and you’ll find all kinds of results. The difference with CarMark Hawaii is that we aren’t looking for scrap vehicles that don’t run or heaps of metal; we want cars, trucks, SUVs and vans that are in good condition, vehicles that someone else would want to buy. That said, we buy nearly all makes including Ford, Chevy, Toyota, Chrysler, Dodge, Nissan, Volkswagen, Mazda, Hyundai, Subaru, Cadillac, Jeep and more. 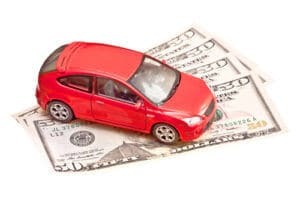 Whatever vehicle you’re wanting to sell for cash in Honolulu, chances are we can pay you the best price as long as it meets our qualifications, which is easy. Is your car a 2010 or newer model? Does it run good, have a sound engine and fewer than 100,000 miles? Are the body and paint in good condition? If you answered “yes” to these three questions, you’re well on your way to approval! Even if your car isn’t paid for, we work with customers who have a bank loan. If the registration or safety inspection is expired, no big deal. What we don’t buy are vehicles that will need substantial body work, a new paint job, or major mechanical work in order to resell them. We also don’t buy vehicles with a salvage or branded title. Essentially, what we deal in are good, quality used cars other people would enjoy. If you have a vehicle you’re wanting to sell that meets all of the above, you’ve found the right place! Sell your used car for cash in Honolulu today by working with CarMark Hawaii. It’s really that simple.